Annual informal visit to HomeFront’s annual artJam show at 19 Hullfish Street in Princeton on Friday 2:00 p.m., April 5th, with tea afterwards at Kathy Hutchin’s house. Please let me know if you are interested or have questions. -Kathy Hutchins. Trips being planned: Blooming Grove Village as a possibility that could be combined with a visit to the NJ State Police Headquarters and Museum in West Trenton. Another suggestion is Princeton Doll and Toy Museum now located in Hopewell, which currently has an exhibit featuring American Presidents; admission is five dollars. Other places: Princeton Neuroscience Institute and lunch at the Genomics Café; backstage tour of McCarter Theater; Amazon Warehouse is a suggestion where a friend of Alyce Conlon visited recently. Another suggestion is for a trip to Grounds for Sculpture, or a boat ride on Mercer Lake. Another suggestion is a trip to Madison, NJ to Drew University for a tour of the Shakespeare Festival’s backstage, costumes and props warehouse. A suggestions for future trip: in Frenchtown, a visit to the gallery “Art Yard,” next door to an appetizing lunch place; dates and times to be determined later. We always need drivers; car pooling will be needed. and look forward to suggestions of trips from the membership. Please email Kathy Hutchins at widowh@hotmail.com or phone 609 430 1565 if you know of any interesting places to visit. Mary Ellen Parry has joined Kathy in finding outings. December 7, 2018 to Princeton University Art Museum, for the major new exhibition of landscape paintings “Nature’s Nation: American Art and Environment” on view there from October 13 to January 6, 2019. Once again our favorite docent, Jane Ashcam, conducted the tour. Lunch after at Prospect House Garden Room. Organized by Kathy Hutchins. Oct. 25, 2018 The TCNJ Art Gallery — a visit with Philadelphia-based artist Marguerita Hagan. Photos by Nora Ananos; trip organized by Club President Kathy Hutchins. June 22, 2018. 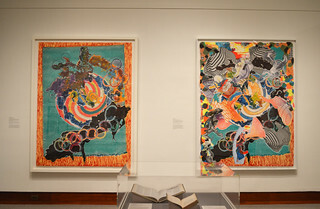 The tour of the Frank Stella Unbound: Literature and Printmaking exhibition took place on Friday, June 22nd at 2:00 P.M. at Princeton University Art Museum. Once again our favorite docent, Jane Ashcam, conducted the tour. Following the tour tea and sherry at Kathy Hutchins’ house to share suggestions for trips for next year, visit with Trixie and perhaps the cats, Mr. Tubs and Sparkle, if they promise to behave, and plan summer excursions. There was a lecture, Saturday, May 19th at 5:00 P.M. at 50 McCosh Hall and a reception after at 6:00 P.M. at the Princeton University Art Museum to prepare for the tour. Photos by Nora Ananos; trip organized by Kathy Hutchins. March 16, 2018. 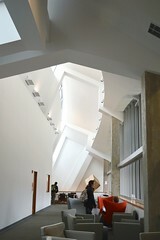 We went on a tour of the Princeton University Lewis Center of the Arts. We met at the Forum level. The tour was conducted by Danielle Dennis, Venue Manager, and Raymond Chalme. We had lunch separately afterwards. photos by Nora Ananos. Organizer: Kathy Hutchins. February 15, 2018. We visited the Michener Museum in Doylestown, Pennsylvania for a tour of the exhibit “Magical & Real: Henriette Wyeth and Peter Hurd, A retrospective”. December 12, 2017, at 11:15 a.m. Guided tour of the photography works of Clarence White (1871-1925) at the Princeton Art Museum, with docent Jane Ashcom. Lunch at Prospect Garden afterwards. Organizer: Kathy Hutchins; photo below by Nora Ananos. October 17, 2017. Tuesday, Homefront campus trip. SEPTEMBER 12, 2017 A tour of the exhibit “Great British Drawings from the Ashmolean Museum” at the Princeton University Art Museum. Tea followed at Kathy’s house. March 28, 2017 Tuesday, 2:00 p.m. tour of the Princeton Art Museum’s exhibit “The Berlin Painter”, and gathered for tea at Kathy Hutchin’s house after the tour. October 25, 2016 (photos) tour of the Andlinger Center for Energy and the Environment. 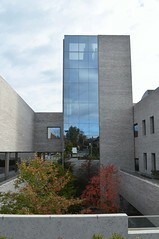 The Center is the newest and one of the most exciting academic buildings on the Princeton Campus and is located at 86 Olden Street. Check out the website http://acee.princeton.edu/about/building/. The tour was conducted by Jennifer Poacelli, Associated Director of Administration. Moire Selinka, Education and Outreach Coordinator of the Center, joined us at lunch afterward at the Garden Room in the Prospect House on the Princeton University Campus. 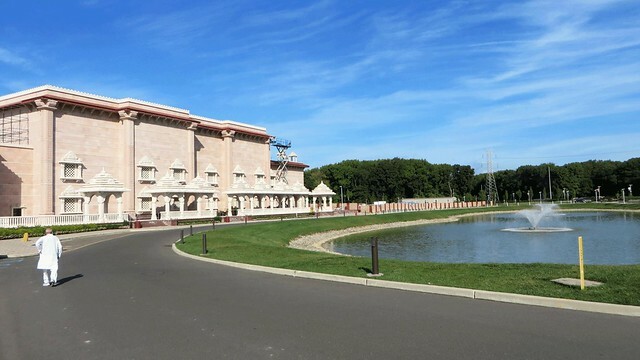 September 2016 Akshardam Arts and Cultural Center in Robbinsville (Mandir Temple). Click to see more photos taken by Nora Ananos. April 2016 Open house at the Princeton University Andlinger Center for Energy and the Environment. February 2016, tour of PPPL (Princeton Plasma Physics Lab), then lunch at the site’s cafeteria. Click here to see photos taken by Nora Ananos. 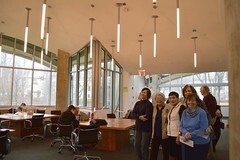 December 2015: Princeton University Firestone Library tour, then tea and sherry at Kathy’s home after tour. 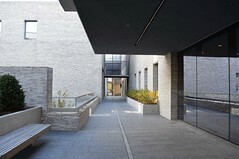 October 2015, tour of the new Frick Chemistry Laboratory Building on Princeton University campus on Washington Road led by Alice Monachello, Facilities Manager of the Laboratory. 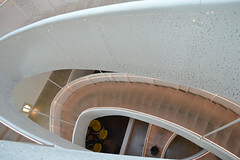 Click this PDF file or this hyperlink to read an article about the woman sculptor who designed the “clusters of translucent orbs suspended from the 75-foot-high glass roof into the atrium.” Then lunch in the “Chemistry CaFé” right on site. Click here to see Photos. June 25th: Mitchner Art Museum “The Artist in the Garden” and lunch after in Doylestown. April 2015: Glenn Thomas’ Piano Collection. Princeton, NJ. March 2015: Morven Museum and Garden, Princeton, NJ. Dec. 2013: Bus trip to Radio City Music Hall in NYC for Christmas Show. Oct. 2013: Princeton University League’s trip to the Barnes Museum. Oct. 2013: Bus to Broadway show “Matilda”, NYC.